Derek Strange and Terry Quinn, the team of private investigators who made their stunning debut in Right As Rain, are hired to find a 14-year-old white girl from the suburbs who's run away from home and is now working as a prostitute. The two ex-cops think they know D.C.'s dangers, but nothing in their experience has prepared them for Worldwide Wilson, the pimp whose territory they're intruding upon. 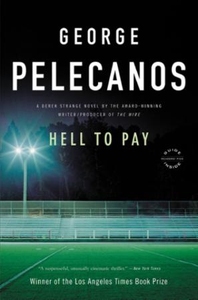 Combining inimitable neighborhood flavor, action scenes that rank among the best in fiction, and a clear-eyed view of morality in a world with few rules, "Hell to Pay" is another Pelecanos masterpiece for his ever-expanding audience to savor.